Two bowel resections, one emergent, in a man with a strangulated hernia who otherwise would have died. Two parotid surgeries – an operation that requires dissection of the facial nerve – were performed successfully. 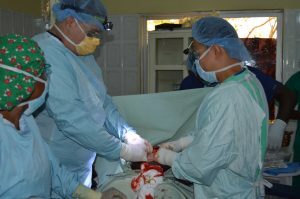 A complex hernia repair, where the bladder was present in the hernia sac and a portion of it was necrotic requiring resection, was accomplished. Multiple hysterectomies and pediatric hernia surgeries were also successfully completed. 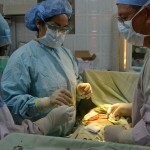 Numerous “lumps and bumps” surgeries were performed. We are pleased to report that all planned surgeries were completed even with the departure of Dr. Lissa Sakata and Dr. Ryan Raffel after week one. It was a very good feeling to leave Apam knowing that we did not have to reschedule a patient for next year after promising to care for her/him during this year’s trip. 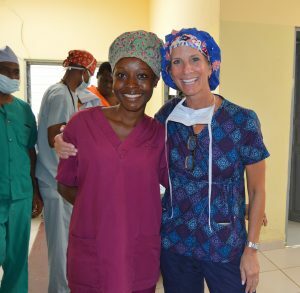 The success of the surgery and gyn teams was greatly aided by newcomers Dr. William “Bill” McGuinn, anesthesiologist, and Dr. Mary Keperling, OB/GYN, both of whom performed like trip veterans. Dr. McGuinn was instrumental in getting two of our donated anesthesia machines up and running, giving the hospital three functional machines by the time we left for home. Dr. Keperling arrived for the second week and continued the leadership and great care for the women of Apam that Dr. Derek Liang and Dr. Cheyenne Cortez provided during the first week. Of note, Dr. Trevor Teetor, a fifth-year resident in the WellSpan York Hospital surgery program, performed or was involved in, more cases than any other surgeon for the ten-day period. This proves that this experience for our residents is off the charts! With support from the Apam Hospital staff, we were able to offer two free community health screenings during the 2018 trip. The screenings were carefully scheduled so that anyone referred to the hospital clinic could be seen by our volunteers. We believe there is room for improvement in reaching a greater number of Apamers through these screenings. 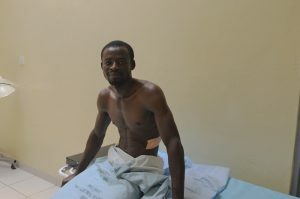 This will, of course, require us to obtain additional BP cuffs, Glucose meters and strips, and other equipment/supplies. Thank you Dr. Erin Kelly for your suggestions and resources to help plan this activity for 2019. Joseph the Worker Catholic Church screening: forty-four people attended the first screening. Dr. Erin Kelly and Rosie Johnson RN provided screening. Two people were referred to the ER with sugar in excess of 300; five people with BP in excess of 170 were referred to the upcoming BP clinic. Methodist Church of Ghana screening: Thirty-four people attended the second screening. Dr. Erin Kelly, Dr. Seth Quartey, and Amanda Fleischer conducted the screening. Three people were referred to the BP clinic and 2 were referred to the Diabetes clinic. Our team was asked to provide an in-service training for hospital staff. Rosie Johnson RN and Dr. Erin Kelly provided breast exams and trained interested staff to perform exams. We look forward to working with the hospital administration in order to provide additional in-service training in 2019. If you have followed us closely over the years, you will see from the above list that we are performing increasingly complex surgeries while in Apam. We recognize that expanding the knowledge and skills of the local nursing staff – upon whom we rely to provide recovery and post-surgical care for these patients – is a priority. 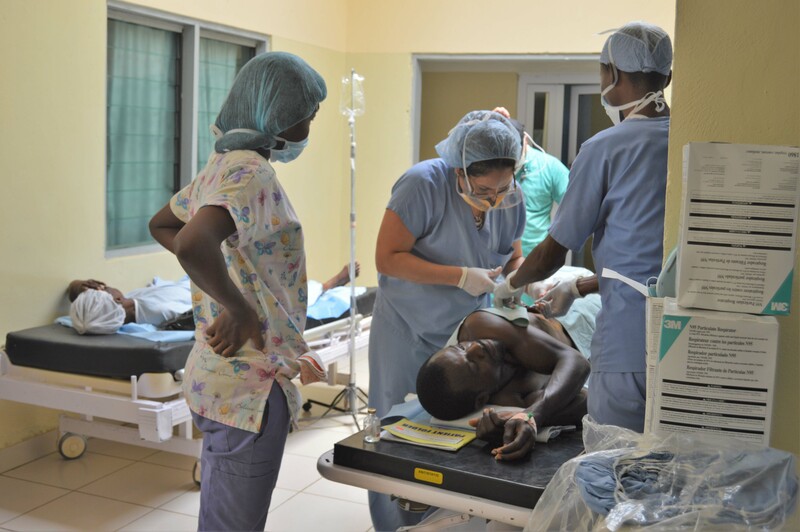 Being satisfied that the equipment and supplies needed to provide appropriate care for these patients are in place at the hospital is equally important. 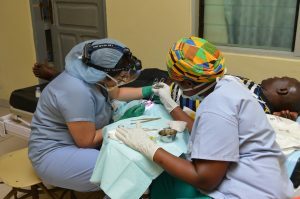 While our volunteers were still in Apam, the hospital administration and team leaders – Dr. Clyde Strang, Dr. Dennis Johnson, Dr. Seth Quartey, and Hollie Walkley – began exploring options with the hospital administration. Those options include educational scholarships and in-service training for nursing staff, and obtaining resuscitation equipment/crash carts for the wards. We appreciate the hospital’s continued willingness to consider new methodologies. Finalizing a plan – and funding it – will encompass a major part of our preparations for the 2019 trip. In addition to very productive meetings with the St. Luke Hospital administration, we held several informal brainstorming sessions among our team while we were in Apam and later after we returned home. All were focused on how the overall trip experience may be improved for our volunteers and how we may increase our reach to include more patients. Dr. Andrew Frei and Dr. Scott Williams were outstanding and willing MacGyvers during this trip. A huge shout-out to them for stepping up, filling in, problem solving, brainstorming, and taking charge when necessary. 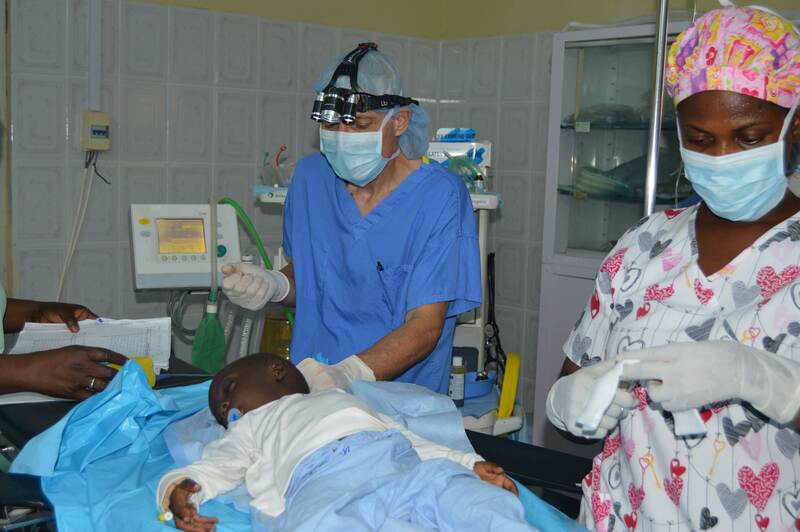 From Dr. Frei teaming up with Dr. Quartey to obtain the release of two anesthesia machines that were held hostage by the port authorities to Dr. Williams using medical equipment and supplies in innovative ways, you two continue to amaze. You are valued members of the team! 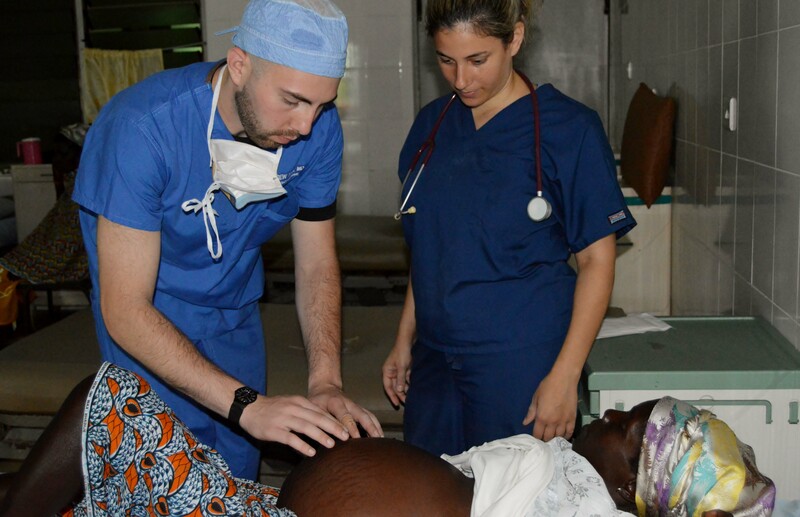 Thank you to residents Dr. Lauren Diskin, Dr. Trevor Teetor, Dr. Ryan Raffel, and Dr. Claudia Twum all of whom used their vacation days and paid for the opportunity to work six days a week in a very warm OR. We, and your patients in Apam, will always be grateful. Please join us again. This was a successful and gratifying trip made possible by our volunteers and our generous donors. Thank you first and foremost to our Board Chair Dr. Clyde Strang for his generosity and leadership. 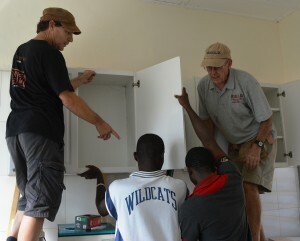 Many thanks also to Dr. Richard Kurz, Dr. Bill McGuinn, Team Leader Dr. Dennis Johnson, Rosie Johnson RN, co-Founders Dr. Seth Quartey and Grace Quartey CPA, Building Solid Foundations Board Members and the Aldersgate United Methodist Church Global Missions Committee for covering many crucial expenses. Jim Kelly from Ethicon donated suture material as well as hemostatic agent. Chad Walnerich from Covidian/Medtronic donated disposable Harmonic scalpels. 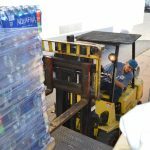 WellSpan York Hospital continues to donate used equipment. Janie Farish from Apple Hill Surgical Center donated JP drains used in thyroid surgery. 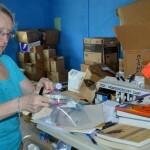 Dr. Marsha Bornt again proved masterful in collecting and sorting donated medical/surgical supplies and equipment. 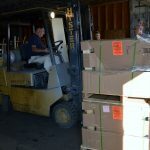 Clinton Industries donated much-needed hospital furnishings. Thank you one and all. 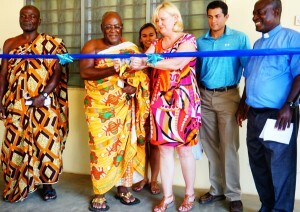 And, thank you to the St. Luke Hospital of Apam staff. You welcome us, share with us, and work beside us. We appreciate your professionalism and uncomplaining attitude very much. The downfall of a list like this is that it inevitably omits someone. Heartfelt apologies to anyone whose name should also be here. Please understand that it was an accident and that we appreciate everyone who donates their time, talents, and treasure. Your generosity is humbling. The Building Solid Foundations Board of Directors has announced dates for our 2019 trip to Apam. Volunteers will depart the US on November 9 and arrive back in the US on November 23. If you would like to receive information about the trip and learn how you can join us, please email hollie.walkley@gmail.com. Teamwork and talent result in successful 2017 trip to Apam. At the last minute, team leader Dr. Marsha Bornt was unable to participate in the 2017 trip to Apam. She was missed very much by volunteers, St. Luke’s Catholic Hospital administrators and staff, and by Ghanaian patients. Dr. Bornt’s dedication and hard work in Apam over the past ten years created a framework for the team’s successful work in 2017 and beyond. That cohesiveness resulted in one hundred and twenty-nine thyroid, hernia, gynecology, and general surgeries. The medical team, led by Dr. Seth Quartey, held two free blood pressure and diabetes screenings at Apam churches and saw patients in the Hospital clinic and wards. Jim Kiley and Ethicon for donating an harmonic scalpel device. This was the first time an harmonic scalpel was used in Apam and it increased the efficiency of thyroid surgeries. 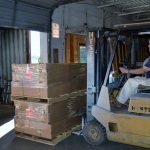 The many Annual Fund Donors whose “use my gift where it will do the most good” contributions allow Building Solid Foundations to purchase and ship supplies and equipment to Apam. The two-week trip wasn’t all work. Dr. Frank Odame and St. Luke’s Hospital administrators, staff, and employees hosted two festive dinners, which gave everyone the opportunity to know each other outside of work. 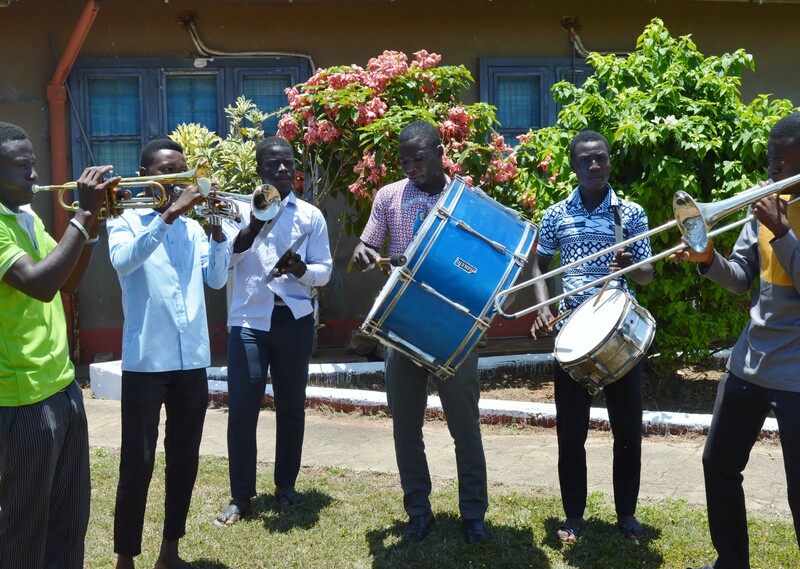 The Hospital coordinated a tour of Elmina Castle, which is recognized by UNESCO as a World Heritage Site, and a trip to the Canopy Walk and Nature Trails at Kakum National Park. 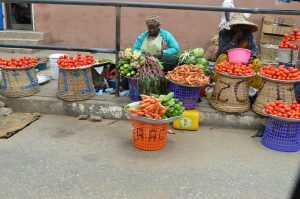 Volunteers spent Saturday night at the Blue Diamond Beach Resort, dined out at Sankofa Square Jamaican Restaurant, shopped local for FanIce and fabrics, and toured and shopped for souvenirs at the Makola market in Accra. The dates for the 2018 trip to Apam will be announced shortly. If you are interested in traveling to Apam next year, send an email to hollie@buildingsolidfoundations.org. The shipping container is loaded and headed to Ghana! Thank you… thank you to everyone who donated, asked for donations, shopped for food, and delivered, sorted, and packed everything into the shipping container. It is on its way to Ghana and will be delivered to Apam just before our volunteers arrive on September 3. 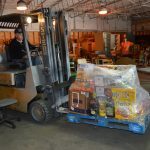 Special thanks to former Board Chair, Steve Shellenberger and S&H Express for buying food for our volunteers, lending us employees, and making warehouse and trailer storage space available. This is the tenth year that Steve has helped Building Solid Foundations and the wonderful people of Apam, Ghana. We are eternally grateful for his leadership and generosity. 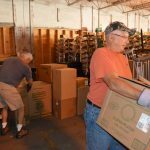 Thank you current and former board members, committee members, friends from Aldersgate United Methodist Church and their friends for strategizing, organizing and loading everything into the shipping container. You guys are amazing and we are humbled by your energy and good will. Thank you also to everyone who donated items including Wellspan, Pepsi, Clinton Industries, Harriet Knight, Rosie and Dennis Johnson and friends, members of the Nextdoor Elmwood email listserve, Hollie’s friends from Mah Jongg, numerous York and Lancaster County schools, Grace and Seth’s friends, and the many generous people who responded to our newsletter mailing. You make it possible! We couldn’t do it without you! Thursday, June 1, 2017 at the S&H Express warehouse. 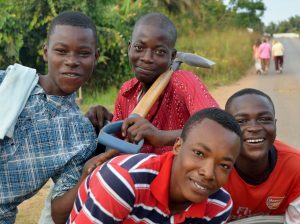 People interested in traveling with Building Solid Foundations to Apam, Ghana for the September 2, 2017 through September 16, 2017 trip, should plan to meet at 4:00 on Sunday, June 25, 2017 at Aldersgate United Methodist Church. The Church is located at 397 Tyler Run Road, York, PA 17403. If you are interested in the trip but are not able to attend the meeting, please contact hollie@buildingsolidfoundations.org for details. Thank you. 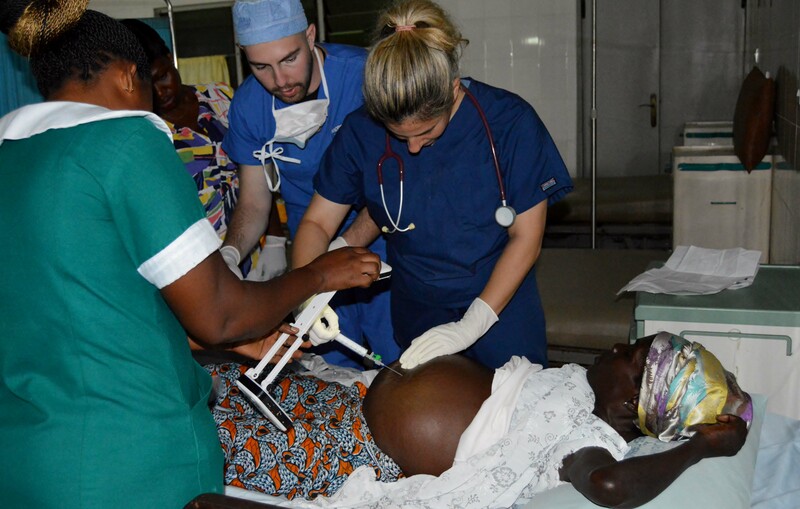 The next humanitarian trip to Apam, Ghana will take place from September 2, 2017 – September 16, 2017. Volunteers in the areas of Education, Medical, Surgical, and Construction who are interested in this trip should email hollie@buildingsolidfoundations.org for additional information. The informational meeting previously scheduled to take place on April 23, 2017, 4:00 pm at Aldersgate United Methodist Church, 397 Tyler Run Road, York, PA 17403 has been cancelled. A new date will be announced shortly. During this meeting, Grace Quartey, Executive Director and Co-founder of Building Solid Foundations and Dr. Bob Davis, Board Chair, will discuss on-going and new projects, financial and logistical requirements, the Ghanaian culture, trip expectations, and more. Questions may be directed to Hollie Walkley at hollie@buildingsolidfoundations.org. October, 2016. 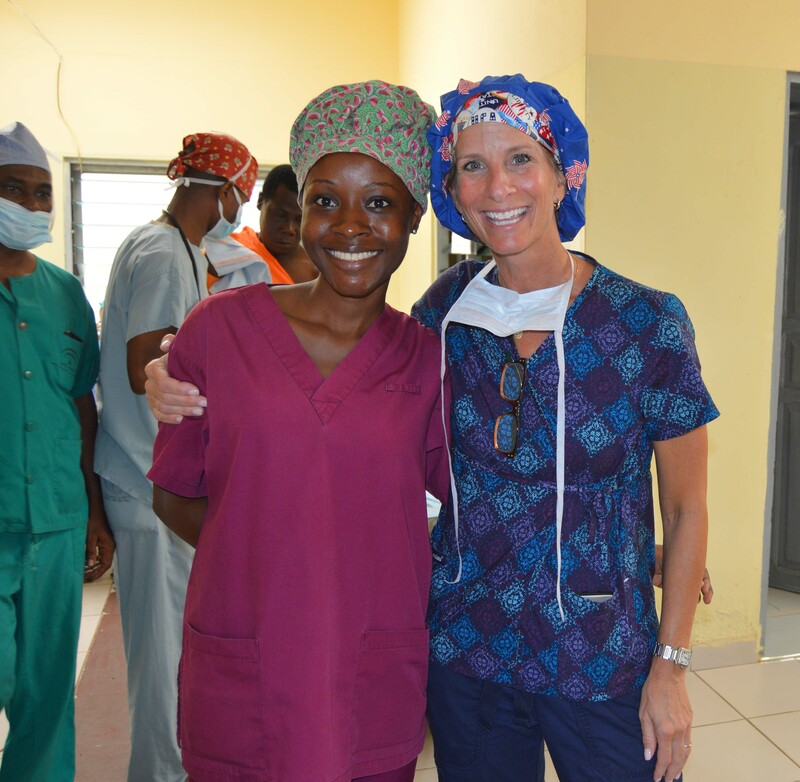 Dr. Marsha Bornt led a talented and energetic team of Medical, Surgical, and Education volunteers during a two-week trip to Apam. The Medical team worked tirelessly seeing patients mornings and afternoons and managed to fit in two off-campus free diabetes and hypertension-screening clinics. One hundred and forty-nine surgeries were completed in spite of erratic electricity and scant supplies. The Education team volunteers established a relationship with new district leadership overseeing all schools in Apam and began planning for 2017. 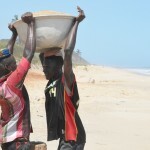 Somehow, we also managed to fit in a sightseeing trip to Elmina Castle, the Rainforest Canopy Walk and an overnight stay at the Blue Diamond Resort. The 2017 trip will likely take place sometime in November 2017. We are looking at ways to provide care for three weeks next year. Please watch this space for details or check us out on Facebook! Volunteers interested in traveling to Apam, Ghana are invited to attend an organizational meeting, which will be held at 4:00 pm on Sunday, June 5 at Aldersgate United Methodist Church. The Church is located at 397 Tyler Run Road, York, PA 17403. This meeting is intended to provide a forum for discussion about travel requirements for the trip, which will depart the U.S. on September 17 and return to the U.S. on October 1. 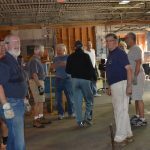 There will be ample time at the meeting to talk with volunteers who have already traveled to Apam with Building Solid Foundations. Additional information is available by emailing hwalkley@buildingsolidfoundations.org. The annual trip to Apam, Ghana scheduled for September 2014 was cancelled due to concerns surrounding the outbreak of Ebola in neighboring African countries. Materials collected or purchased and held in storage for use during the cancelled trip were shipped to Apam and distributed by Apam Hospital personnel according to detailed instructions from Building Solid Foundations volunteers. These distributions were confirmed by Building Solid Foundations volunteers through a series of phone calls and emails. 1. 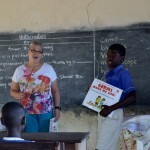 Collection and purchase of books and other classroom supplies and equipment planned for distribution in elementary and middle schools in Apam, Ghana. 2. 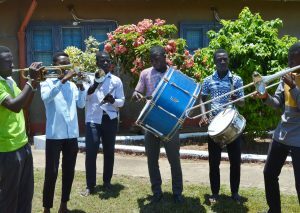 Fundraising to purchase equipment and supplies used at Apam Catholic Hospital. 3. 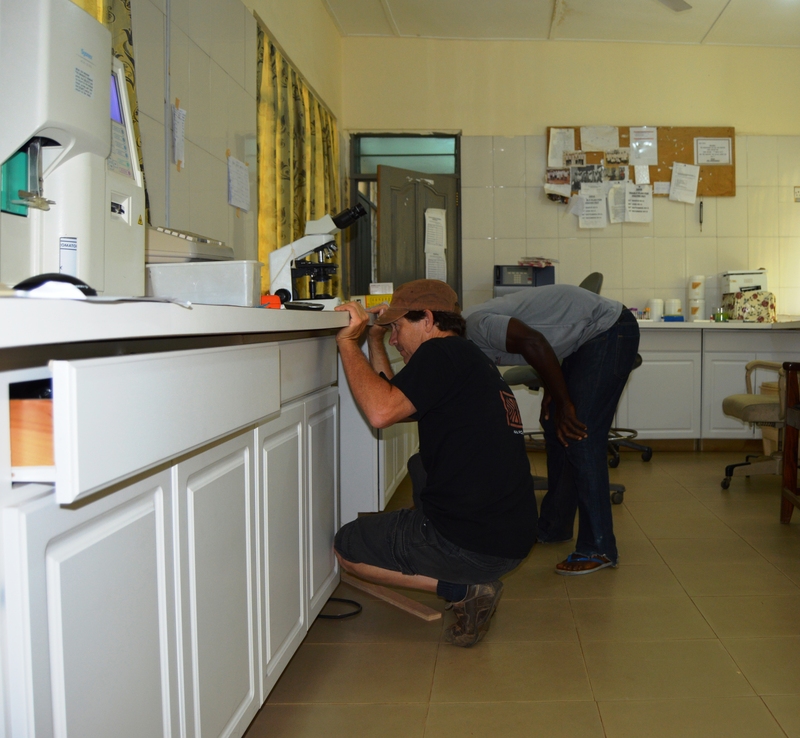 Planning/coordinating renovation and refurbishment of the Apam Catholic Hospital Laboratory. 4. Working with Worldwide Laboratories to identify appropriate and needed equipment and coordinating installation and training of laboratory personnel. 5. 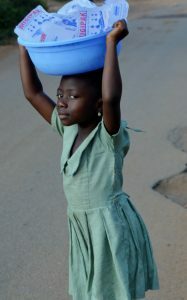 Continuing collaboration with Rotary international on several waste-water treatment projects at schools in and near Apam. Building Solid Foundations continues to explore several economic development projects that would bring much-needed job opportunities to the town of Apam and the surrounding area. Thank you to all donors and volunteers. Your financial contribution and your gifts of time and talents make progress possible in Apam! 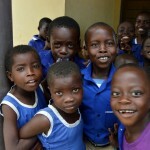 The fall 2016 trip to Ghana is scheduled for September 17 through September 30. Mark your calendars and watch this space for important meeting dates and deadlines. 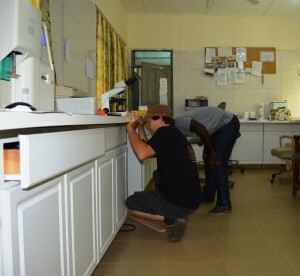 A chance meeting in a busy airport means that sick people in Apam now have access to more accurate testing and faster diagnosis and treatment of life-threatening illnesses than ever before. 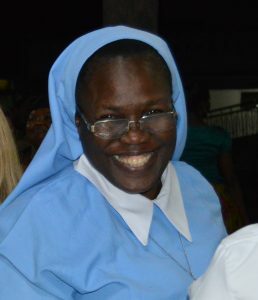 Doris King was intrigued by the group of women and men wearing colorful BSF and Aldersgate mission polo shirts waiting to board a plane to Accra in September 2012. During their pre-flight conversations, our volunteers explained their relationship with the people of Apam and the work they would carry out during their two-week stay. 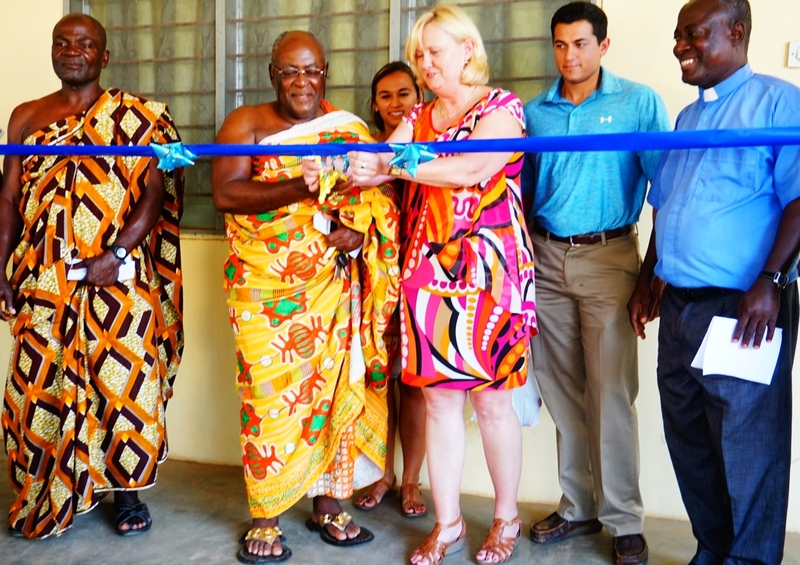 Doris promised to visit Apam during one of her many trips to Ghana as she continued to run the family business founded by her late husband, Trevor. Now, people coming to the hospital for care are able to undergo quicker, more accurate diagnostic testing. The new equipment means that patients don’t need to find transportation to the next closest hospital – almost two hours away – for routine testing. Thanks to the family who loved him dearly, the beautiful renovations and new diagnostic equipment at the Apam Hospital are a moving memorial to Trevor King, a man with a huge heart. 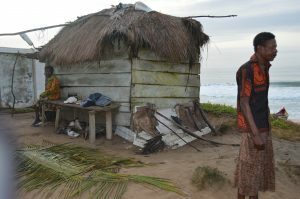 A man who loved Ghana. 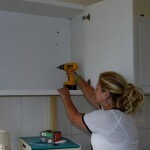 Installing cabinetry in the laboratory.